We’ve hiked in the Tatra and Fatra Mountains of Slovakia a lot in the past years. But this year was the first time we went hiking there in the winter. Or should I say taking long walks in the fresh snow? Because the thing is, winter is not really hiking season in the high mountains. Most of the trails are closed (and they are impassable anyway). It’s the season for skiing. Still, you can do some hiking, and we show you where. What kind of trails are safe to take in winter? The trails we’ve chosen are trails that we already knew well from our summer hikes. These trails run on easy (sometimes almost flat) terrain, at least in the beginning. And we hiked only the first sections of them in winter. No peaks, no steep sections, and not too long distances because days are short. Hence I’m not even sure if I can call them hikes or simply just winter walks. Anyway, they are pretty! And to our surprise, they offer challenges. (Okay, bearing the cold itself is a challenge for me, I’m definitely a summer person.) 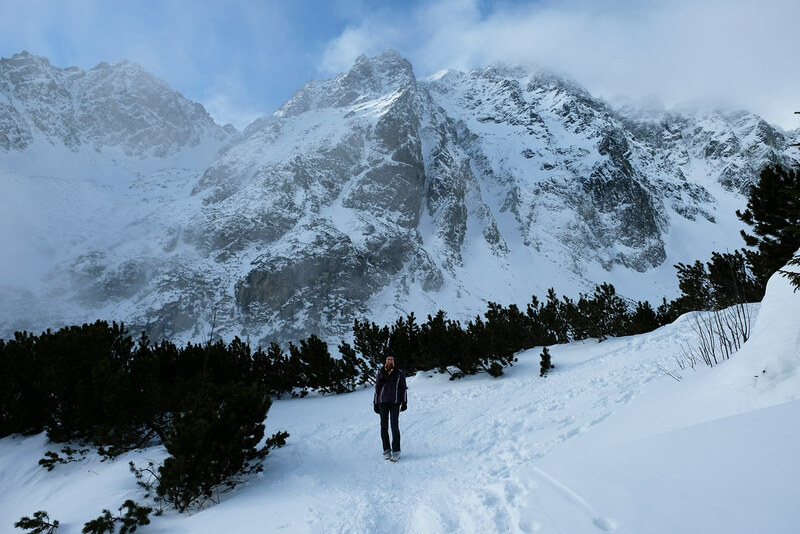 Though the terrain is easy, walking in the deep snow against the strong wind definitely requires energy. On the other hand, the landscapes and pine trees all dressed in white are magical! Not to mention the frozen waterfalls. So let’s see those trails. By the way, most of them are dedicated winter walking and/or cross-country skiing trails if that makes you feel safer. 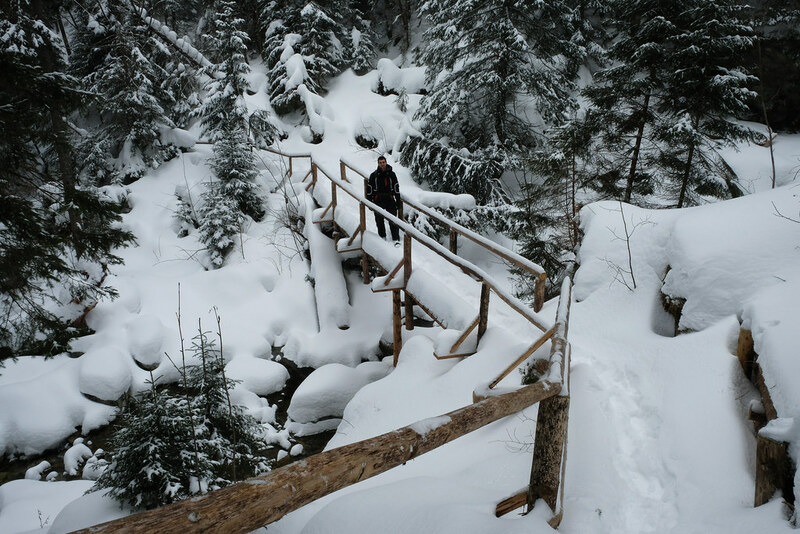 The hiking trail from Štrbské pleso to Lake Poprad (Popradské pleso in Slovak) is just as popular in winter as it is in summer. Though there’s a high chance that the lakes are under snow and ice, so you can’t actually see them, but this trail is pretty scenic anyway. We were lucky to hike it in clear and sunny weather, and we couldn’t get enough of the white peaks sparkling in the sunshine. Once we reached Lake Poprad, we took a walk around it. It’s an easy, half an hour loop with great peak views. Then we noticed that the trail to Mengusovská Valley (Mengusovská dolina in Slovak) is also open. It turned out it’s not open all the way, only the first section, but it was still worth doing that, because you are tucked between astonishing peaks while hiking in the valley (as long as they don’t disappear in the fog). Now this is really just a walk. It’s a completely flat, wide trail around Štrbské pleso. But it can be very nice if there’s a lot of fresh snow, and the weather is clear enough to see the peaks towering above the frozen lake. We did this 40 minutes walk after our hike to Lake Poprad. 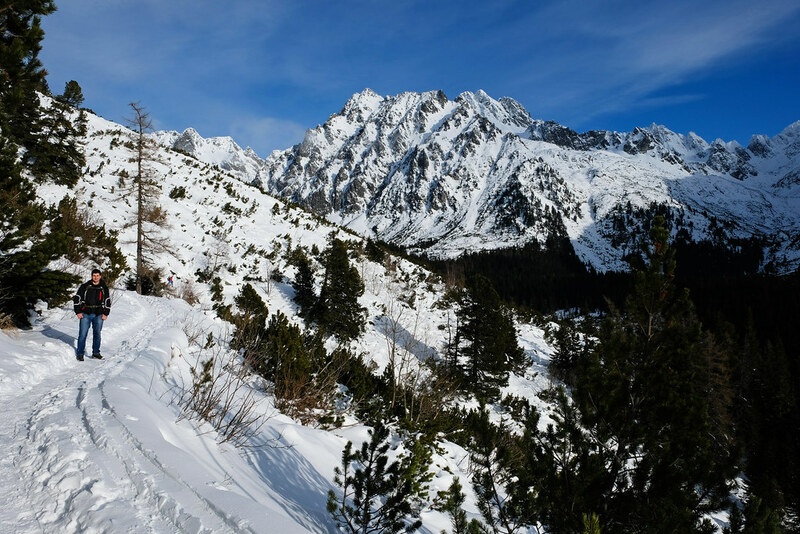 It could also be a good warm up exercise before you start your hike from Štrbské pleso in the morning. Of course, the summer version of this hike can be much longer: a full day loop trail through Mylnická and Furkotská Valleys, while you climb your way up right next to Skok Waterfall on the way. We did it several times, here’s our detailed guide. Kôprová Valley (Kôprová dolina in Slovak) is a newly discovered favorite hike of ours. It’s barely known, and it leads to one of the highest waterfalls in Slovakia: 80 metres high, two tiered Kmeťov Waterfall (and even further to breathtaking alpine lakes, but only in the summer). Kmeťov was our final destination for this winter hike, and until then the terrain is almost flat. 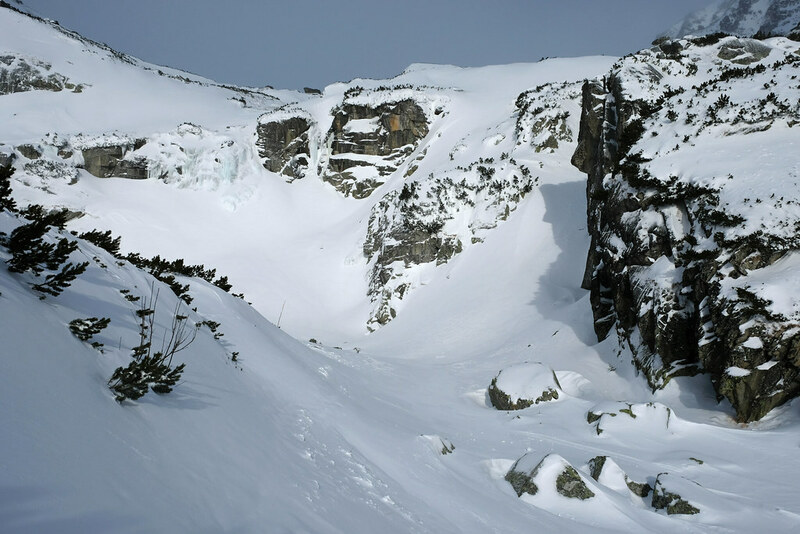 But it’s maintained only until halfway, and it means that snow can be quite deep in the last section. Luckily, people use the trail sometimes, so there was somewhat of a track. Still we walked the last section in ankle-deep snow (or knee-deep, if we took the wrong step). I think it really depends on weather conditions how far you can go. It was snowing all day, making the whole landscape look like a white wonderland. Fresh snow creaked under our feet, and the branches of pine trees were heavy with snow. 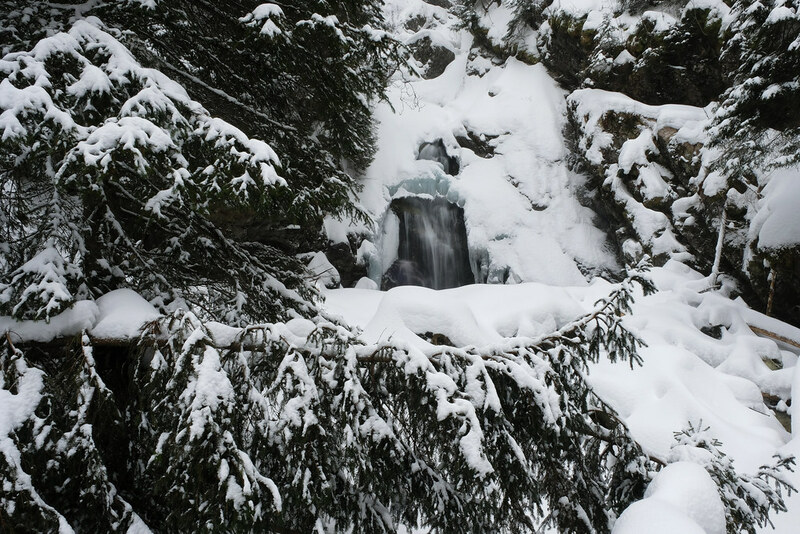 We could barely see Kmeťov Waterfall, because it was partly frozen and partly covered with snow. 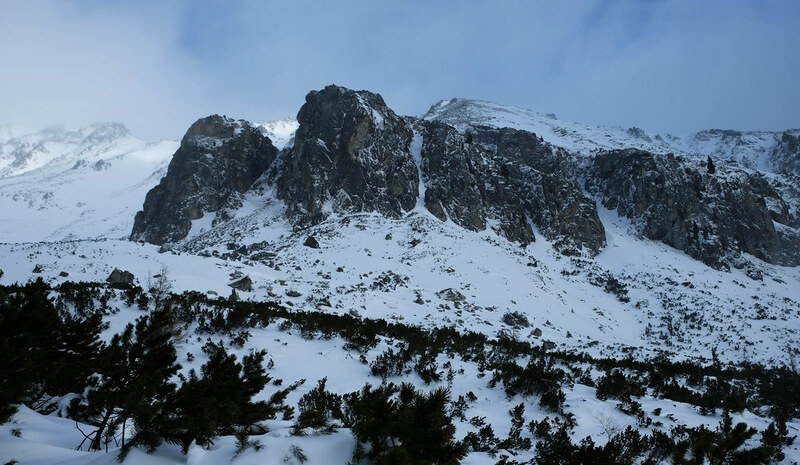 Let’s leave the High Tatras for now, they are not the only mountain range in Slovakia. We have another favorite hiking destination: Little Fatra. 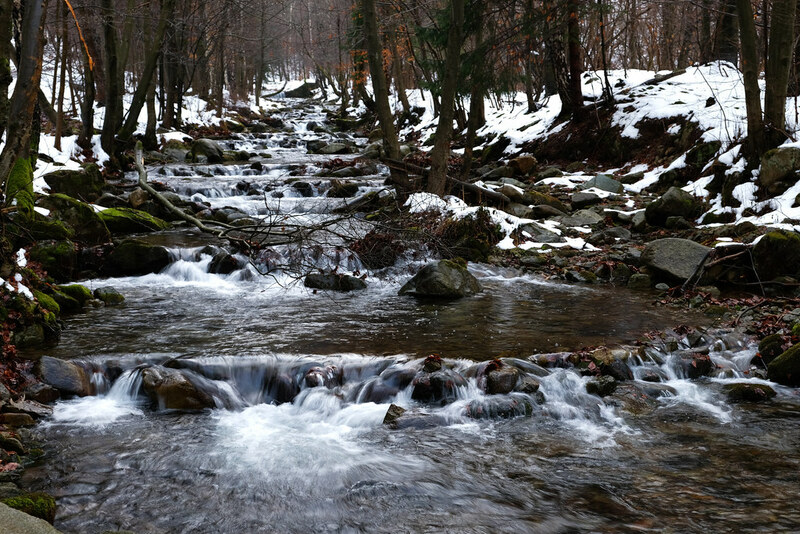 It also offers a trail that’s suitable in any season, and especially magical in winter: the trail to Šútovo Waterfall (Šútovský vodopád in Slovak). 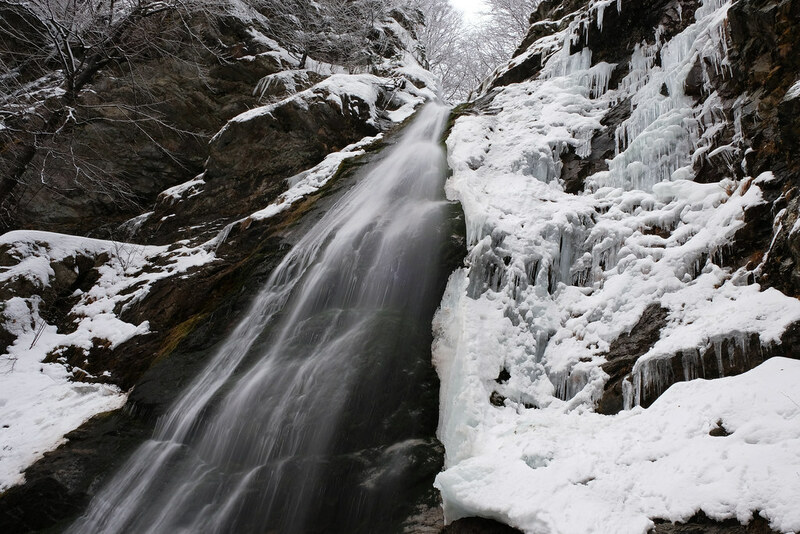 Being 38 metres high, Šútovo Waterfall is the highest one in Little Fatra. The trail to the waterfall is almost flat, and it runs in the forest along a lovely stream. The walk is easy, and it’s a popular trail among local families, too. And the reward at the end is the waterfall itself. 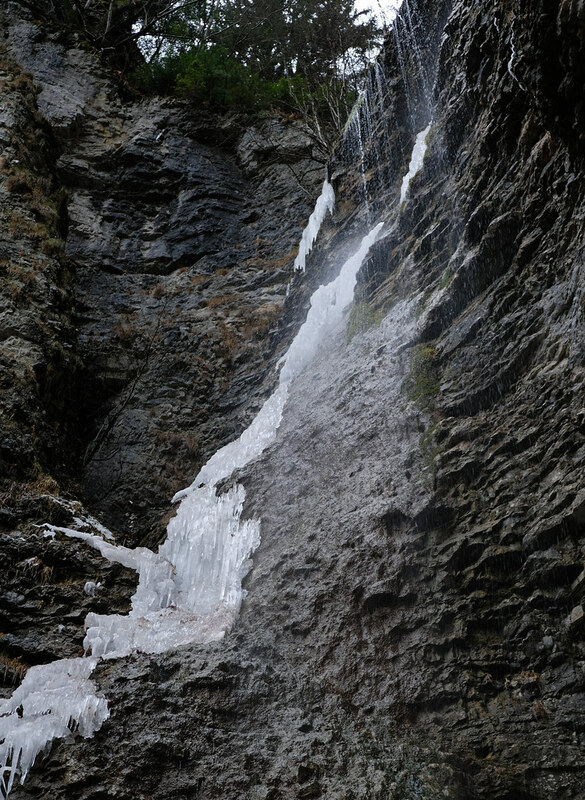 Honestly, of all the waterfalls we’ve seen on this winter trip, we liked Šútovo Waterfall the best. There was still a good amount of water in it, but also spectacular icicles, and we could walk as close to it as we wanted. Finally, another waterfall that was a bit of a disappointment. 55 metres tall Brankov Waterfall (Brankovský vodopád in Slovak) is a short walk from the main road (E77) that we usually take when driving from Budapest to the Tatras. It seemed like a nice little detour on the way. It could have been. Except, the waterfall barely existed. 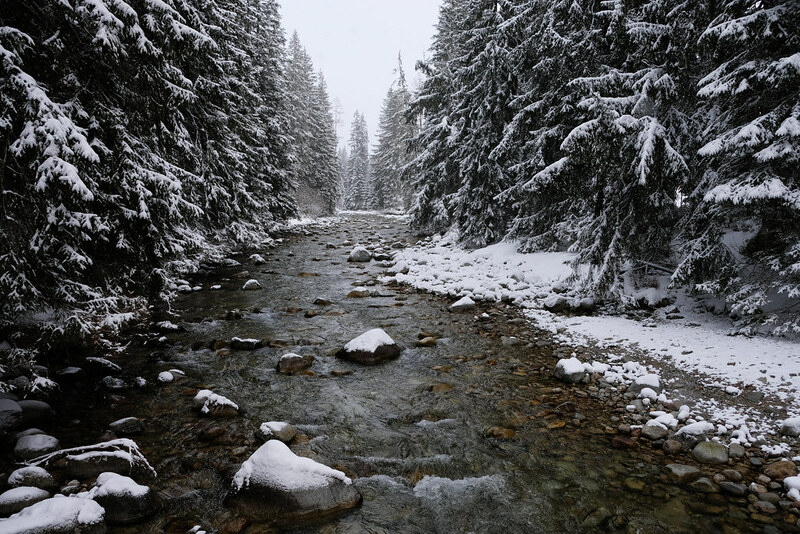 Have you ever hiked in the snow? Any favorite winter destinations? Next post Let’s Take A Walk In The Koala Forest!